Why do sports shoes—tennis and running—have an extra eyelet at the top only about a quarter of an inch behind the top eyelet? I always thought it was to give you a choice, whichever is the most comfortable. Wrong! 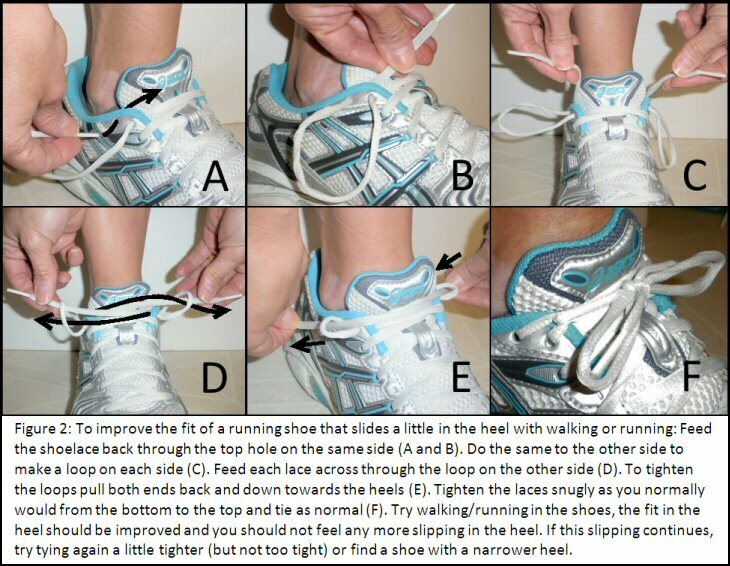 The answer is to provide a way to lace the shoes that helps keep the foot from sliding forward. When you lace to the normal top eyelet (not the extra one), bring the lace back through the extra eyelet on the same side to leave a loop hanging out. Cross the free ends as usual and string them through the loops, and pull them tight. The method is simple, but my description may be confusing. Follow the photo. Even with this system, however, shoelaces are still too long. I suspect manufacturers supply them long so they can be used for any cockamamie lacing pattern the customer prefers. If the laces are too short, customers will return the shoes; too long and most of us will put up with the inconvenience.